Give the gift of Health, Well-Being and Fitness to a friend, family member, work-colleague or loved one. It’s a lasting gift, as participants learn how to be fitter, healthier and how to boost their motivation and energy for life and not just once off. Allowing participants to enjoy their life to the fullest, with their new won drive and focus. 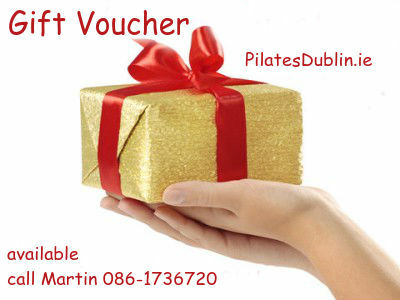 Vouchers / Gift Vouchers are now available e.g. Personal Fitness Training, e.g. for Weight Loss, Strength Gain, Mobility, Flexibility, Toning and General Health. These services are available in South Dublin, Dublin 14, Dublin 16, Dublin 18, Leopardstown, Sandyford, Dundrum, Goatstown, Stillorgan, Glencullen, Cabtineely, Foxrock etc.. Call Martin for more information or if you can’t find what you are looking for and we can discuss other option.